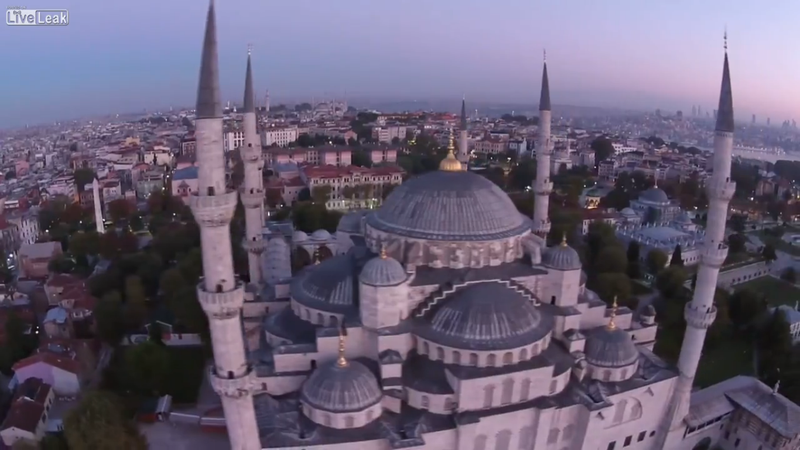 Camera wielding quad copters are becoming a major issue in many of the top tourist spots around the globe. The National Park Service has even outlawed unmanned aircraft within their domain as they were becoming a major annoyance to non-drone toting visitors. Damage caused by remote controlled aircraft to fragile historical structures and sites is also a major concern, as the operators of these vehicles are not necessarily insured, nor willing, to report the damage they cause when the slam into or fall on important stuff. Recently, Yellowstone's Grand Prismatic Spring was apparently damaged when a drone crashed into it. As the government's unmanned technology continues to grow heavier, more widespread and more capable, so will drones on the civilian marketplace, which many worry will just add to their potential destruction, yet alone magnifying the ballooning security concerns they already cause. Regardless of these issues, they do take some spectacular videos don't they?